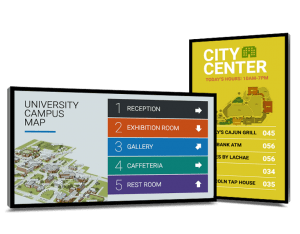 From electronic maps to providing step-by-step directions throughout your building, campus, or park, wayfiniding digital signage solutions from Stargel will keep your visitors on course and get them where they want to go. 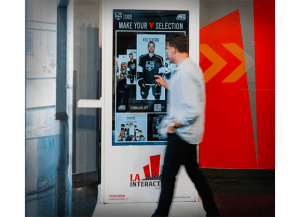 Wayfinding displays provide your clients with intuitive solutions to locate their desired destination as well as browse through your facility’s entire directory of offerings. Step-by-step directions can be delivered on screen or directly to your mobile device, and context-aware advertising allows you to provide even greater value to your clients and tenants. Video walls will wow your visitors, and you can easily manage the messages they experience with Stargel’s state-of-the-art content management system. Seamless and scalable to any size or shape, these beautiful and engaging video walls look great from any angle. With advanced technology and design innovation, Toshiba displays set the standard in outstanding image quality and maximum brightness. 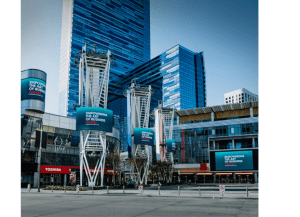 Your organization is guaranteed to capture the attention of passersby with outdoor digital signage from Stargel Office Solutions. Create a lasting impression through dynamic delivery of your organization’s messages. 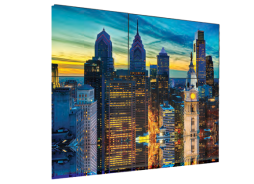 All-weather, any-environment displays are scalable to any size, venue or function. From menu boards to outdoor kiosks, no matter what the application we have a weatherproof solution. With digital menu boards from Stargel Office Solutions, you can quickly and easily update menu items, offers, and prices. Managing menu content digitally will save you money on constantly updating and replacing old or damaged menus printed on expensive materials. 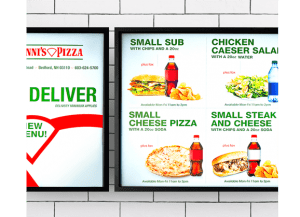 Give your customers a more sophisticated experience and stay competitive with digital menu boards. Available as either a cloud-based or locally managed solution, Toshiba digital menu boards allow you to plan, distribute, and manage digital content across a network of displays. 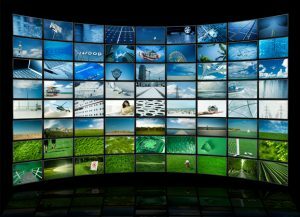 To find the digital signage solutions that will most benefit your business or organization, contact Stargel Office Solutions for a consultation.